Auf ewig in Hitlers Schatten? A book about how the exercise of power is shaped by different concepts of time This groundbreaking book presents new perspectives on how the exercise of power is shaped by different notions of time. Acclaimed historian Christopher Clark draws on four key figures from German history - Friedrich Wilhelm of Brandenburg-Prussia, Frederick the Great, Otto von Bismarck, and Adolf Hitler - to look at history through a temporal lens and ask how historical actors and their regimes embody unique conceptions of time. Inspired by the insights of Reinhart Koselleck and François Hartog, two pioneers of the "temporal turn" in historiography, Clark shows how Friedrich Wilhelm rejected the notion of continuity with the past, believing instead that a sovereign must liberate the state from the entanglements of tradition to choose freely among different possible futures. He demonstrates how Frederick the Great abandoned this paradigm for a neoclassical vision of history in which sovereign and state transcend time altogether, and how Bismarck believed that the statesman's duty was to preserve the timeless permanence of the state amid the torrent of historical change. 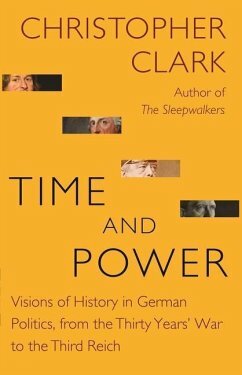 Clark describes how Hitler did not seek to revolutionize history like Stalin and Mussolini, but instead sought to evade history altogether, emphasizing timeless racial archetypes and a prophetically foretold future. 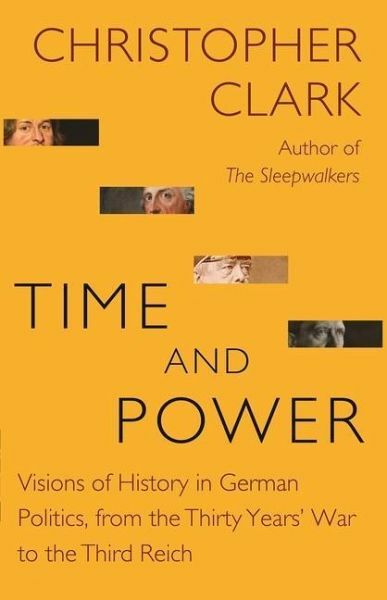 legantly written and boldly innovative, Time and Power takes readers from the Thirty Years' War to the fall of the Third Reich, revealing the connection between political power and the distinct temporalities of the leaders who wield it. Christopher Clark is the Regius Professor of History at the University of Cambridge. He is the author of The Sleepwalkers: How Europe Went to War in 1914, Kaiser Wilhelm II: A Life in Power, and Iron Kingdom: The Rise and Downfall of Prussia, 1600-1947. He lives in Cambridge, England.